I love this look. The coat is so gorgeous. I recently purchased those pumps in two different colors. I love them! Looking so chic and glamorous in this combo, your shoes and sunnies are so trendy and cool! white and blush pink is my favorite color combo!! 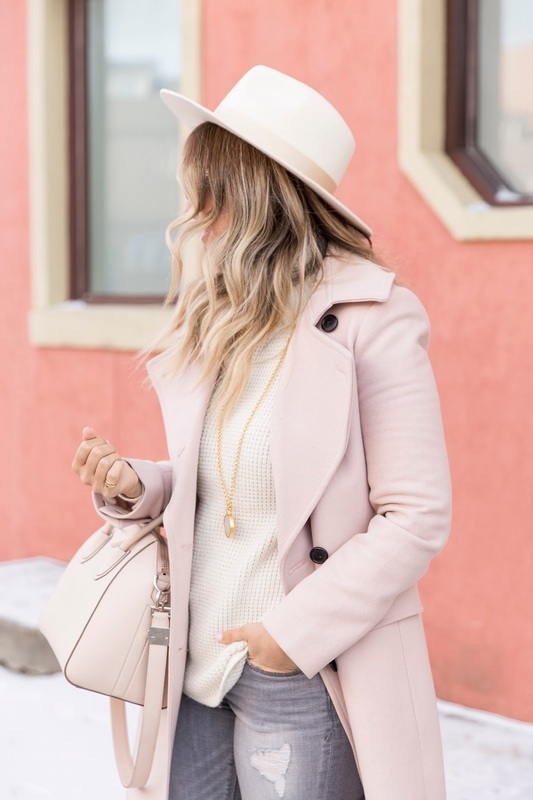 I love the feminine and soft vibe of this look while remaining still winter-ready! I have a pair of grey jeans that I am always on look-out for outfit ideas of what to pair with them. The ivory and pink combo with the pops of print looks great! Will definitely be trying some variant of this look today for work!